On Friday, June 2nd, Tony (Anton) Sekera was in a solo stick and ball practice on his favorite polo pony near Aiken, S.C. when the pony took a bad stumble. Tony somersaulted over the pony's head and suffered C4 and C5 vertebral fractures and devastating spinal cord damage. 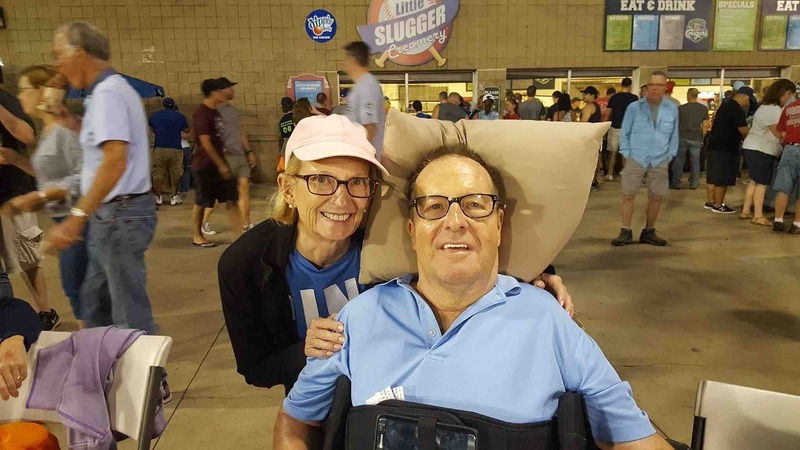 Tony was airlifted to Augusta University Medical Center where he underwent emergency surgery to realign the vertebrae and decompress the spinal cord. He stayed in the Shock Trauma Unit for 2 weeks until he was stabilized enough to be flown to Chicago 's world class Shirley Ryan AbilityLab, (formerly RIC) where he was being provided excellent care and intensive therapy. Tony has since been transferred to Manor Care in Hinsdale where he continues his therapy. The road ahead is a long one. Due to significant immobility below his shoulders,Tony will always have to rely on 24/7 nursing care. Although he is able to breathe on his own and is being outfitted with adaptive devices, he has thus far made little progress toward recovering movement. Anyone who knows Tony will recognize his determination, tenacity and positive attitude. However, this injury presents insurmountable challenges and we need your support. Your donation will help offset the out of pocket expenses for Tony's ongoing day to day care which is not covered by insurance. Molly Seago, Tony's daughter, has been tasked with overseeing this fundraising effort. Your notes and visits to Manor Care on Ogden Avenue in Hinsdale are welcomed and encouraged. Please drop in whenever you are able. Who knows...during a visit, you might even be able to cheer Tony on in one of his therapy sessions and see just how hard he is working. Just like you did when he was on the field! Polo has long been a passion and Tony will continue to follow the sport with fond recollections of his time in the saddle. And although his riding days are over, Tony's love of the sport will live on. Life has changed in so many ways the last year. When you have cheerleaders, a positive attitude, and support from so many, it makes things happen! Tony continues with extensive therapy at Shirley Ryan AbilityLab DayRehab and has regained some muscle movement in his arms, but no fine motor skills. He has learned to operate the toggle on his power chair by himself and this has given him some much deserved freedom. Tony is able to guide his caregivers in ways to assist him and his therapists remain optimistic that he can continue to make gains. Tony still requires a caregiver 24/7, as well as specialized nursing care and equipment, making it very costly to care for him on a daily basis. Cindy, his wife, is his Biggest cheerleader! 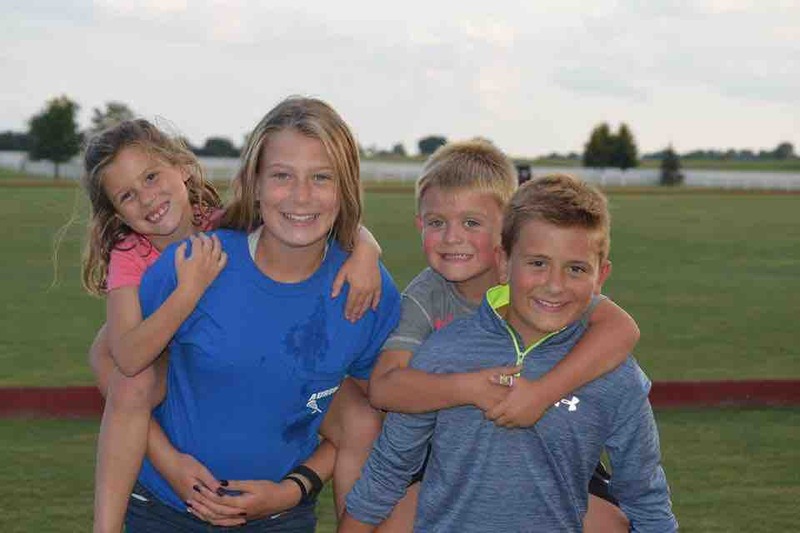 Tony enjoys cheering on his grandchildren Bridget (12), Ben (9), Addison (6) and Charlie (5) in their sports and life, along with his son Matt (Brooke) and daughter Molly (Matt) and extended family on all sides. Tony has a zest for life that his family and friends are inspired by. He continues to show everyone around him his positive attitude and determination. 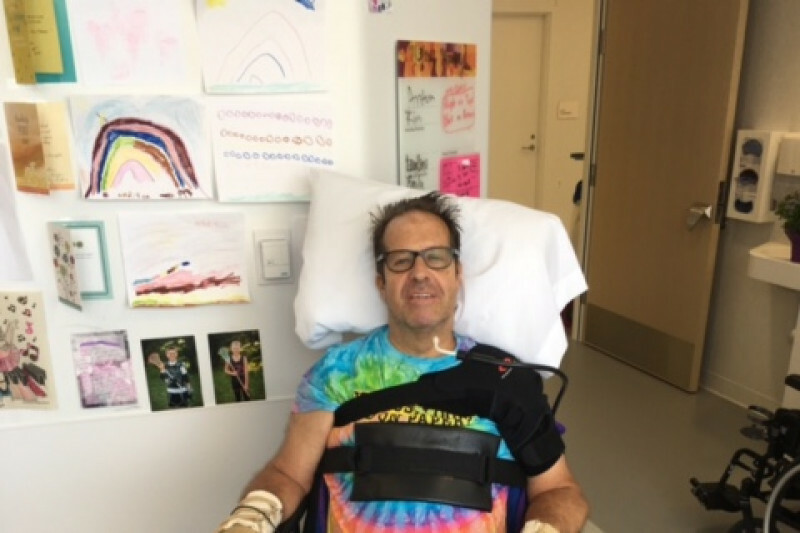 Your contribution will help keep Tony on the road to independence with adaptive and accessible aids despite his physical limitations. How can you not want to Cheer Tony On! Life has changed in so many ways during the past year. When you have cheerleaders, a positive attitude, and support from so many … good things are going to happen! 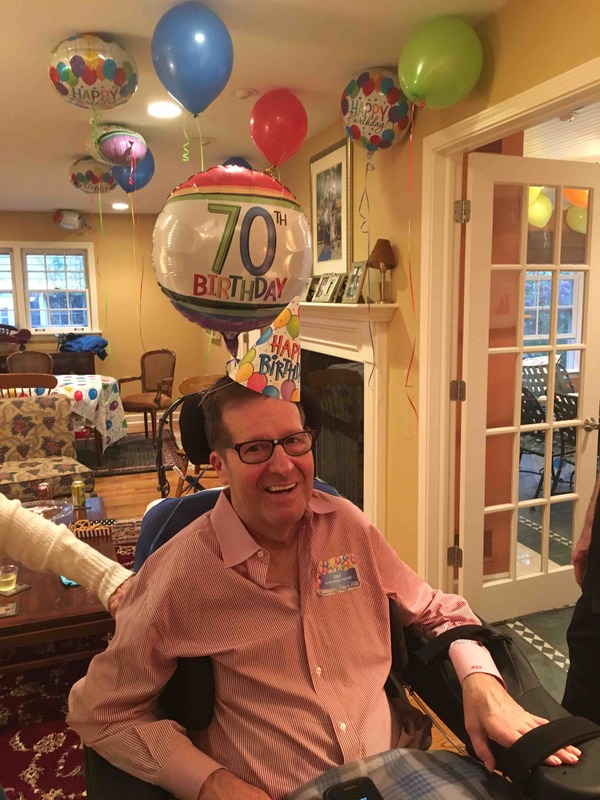 It’s just past the one year mark when Tony had a devastating fall from his polo pony that resulted in a severe spinal cord injury. With no movement of his limbs, the future was hard to envision. It took months of skilled care and rehab, with many adjustments along the way, before he could return home last December. Throughout everything, however, Tony has remained positive and goal oriented while his team of physicians, therapists, family and friends continue to cheer him on. Today, Tony continues extensive therapy at Shirley Ryan AbilityLab DayRehab and his hard work to regain some muscle movement in his arms is paying off. One of his greatest accomplishments is the ability to operate the toggle on his power chair by moving his arm. This has given him some hard-earned freedom and independence. Tony also has learned to guide his caregivers in ways to assist him and his therapists remain optimistic that he can continue to make positive progress. Still, Tony’s challenges are many. He requires a caregiver 24/7, as well as specialized nursing care and equipment, making his care and supportive needs very costly. Tony has a zest for life that inspires those who know and are around him. 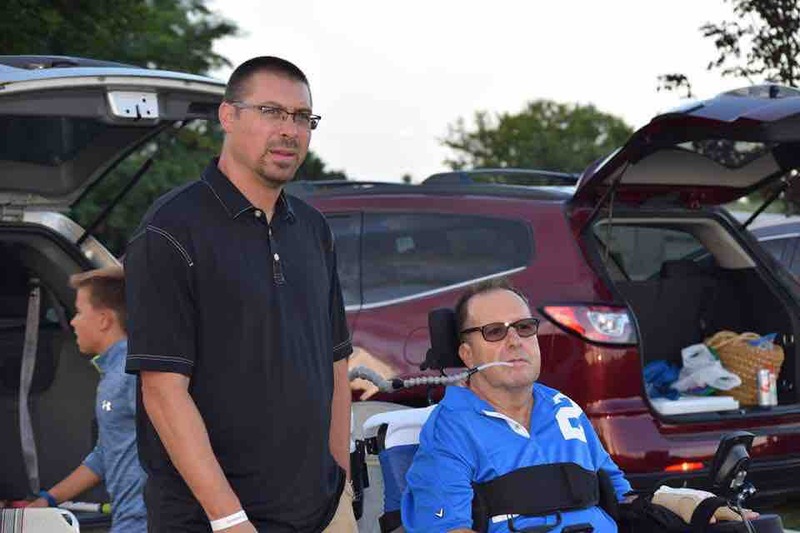 He continues to show his positive attitude and determination and is grateful for the generous support of family and friends who continue to stand by him. How can you not want to Team Up for Tony and cheer him on! Today Tony celebrates his 70th Birthday! He is still working hard and gaining mobility.